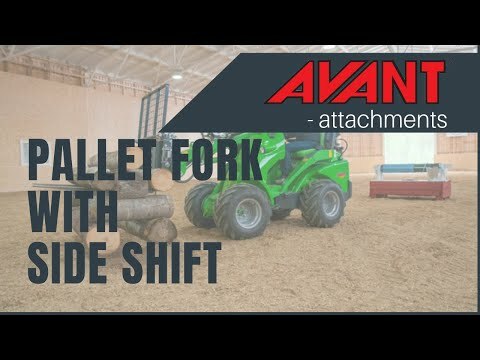 Pallet Fork With Side Shift - Reach It! - Move It! - Crush It! Hydraulic fork adjustment on the pallet fork makes it possible to move the forks further apart or closer to each other easily and comfortably from the driver’s seat. The forks can also be moved to the left or to the right, making it possible to shift the load to the side of the machine – closer to a wall for example. All functions can be operated from the driver’s seat. Pallet fork is equipped as standard with a foldable back frame which enables handling of larger loads and protects the driver from falling objects.